Until now, the considerable charms of V-Class bracing have been reserved for Taylor’s Grand Auditorium models. 2019 sees the company launch a new body shape featuring the game-changing architecture on the inside, along with a tone and aesthetic designed to break new ground for the brand. As radical departures go, Grand Pacific is unlikely to trump the launch of V-Class itself, largely because this was the most radical rethink in flat-top acoustic bracing since CF Martin became the first X-Man. 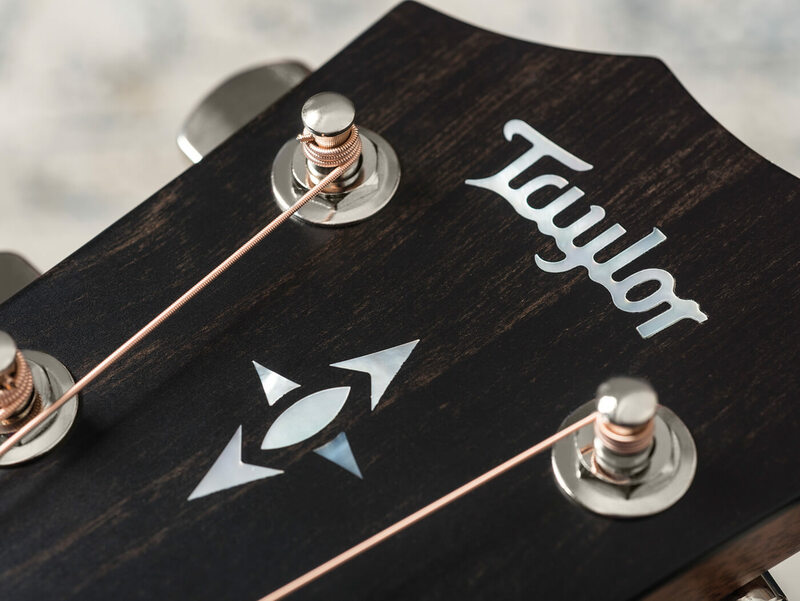 However, the new Grand Pacific body style is a very significant move for Taylor, and is likely to widen the company’s appeal to include more vintage-minded guitar players. A slope-shouldered dreadnought in essence, the Grand Pacific outline is a far cry from the modern utilitarianism we’ve come to associate with Taylor, and it feels as comfy and familiar as it looks. However, as we’re about to discover, each of the trio of Grand Pacific models on test offers something very new, in a seemingly traditional package. All three guitars are fitted with nickel-plated die-cast tuners and Taylor’s Expression System 2 electronics. They come in deluxe hard-shell cases and have been strung with medium Elixir Phosphor Bronze strings. The 317e may be the entry-level version here, but there’s nothing conspicuously downmarket about it. Despite the new outline and its internal architecture, in outward appearance, it’s a fairly regulation Taylor 300 Series instrument: a perfect gloss finish protects the pale Sitka spruce top, with satin on the sapele back, sides and mahogany neck. Black-plastic body binding matches the West African ebony bridge and flawless fingerboard. Brown streaks enhance the ebony headstock veneer, while the inlaid peghead motif echoes the markers between 20 well-dressed frets. Alternating black and white rosette bands are used for the purfling and a moulded plastic cover conceals the trussrod. The 517e’s specs may appear superficially similar but, as you would expect from a Builder’s Edition instrument, the look and feel is very different. The neo-tropical mahogany back and sides have the look of a higher-quality tone timber than sapele and beneath the all-over Silent Satin finish, the colour is a deeper and richer reddish brown. Although it’s hard to discern through the gorgeous Wild Honey Burst finish, the top is actually torrefied Sitka spruce. 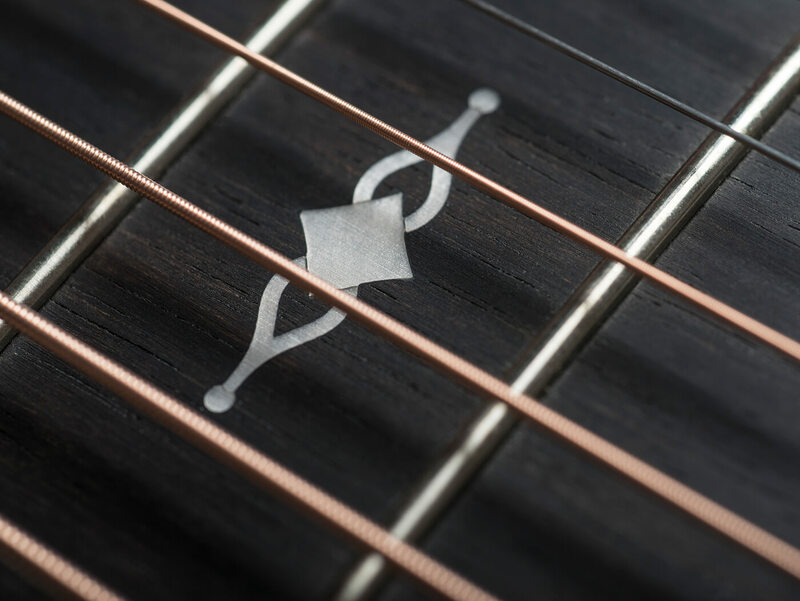 The only obvious use of plastic we can point to on this guitar is grained ivoroid, which has been inlayed into the ebony peghead overlay and ebony fingerboard. You could include the Micarta saddle, too, but the dominant theme is organic, with wood and fibre binding, purfling and inlays. It’s all quite subtle and understated, with browns as soft as the body rims and rolled fingerboard edges. Stylistically, there’s certainly a nod to tradition, but there’s no sense in which Taylor is trying too hard to be retro. Moving over to the 717e, again we have torrefied Sitka spruce. But this time, thanks to the top’s deeper hue compared to the 300 Series model’s standard top, it’s clearer to the eye. The supposed structural and sonic benefits of heat-treating spruce have been well documented and we offer no arguments to the contrary. Very few builders, however, manage to utilise the changes in colour that the process brings about to such an advantage. This top looks fabulous, with the kind of reddish, honeyed tone that we might usually associate with cedar. The 517e’s sunburst slightly obscures the rosette, but here, the contrasting bands of black, sapele and maple show up beautifully. Like the 517e, the 717e has an ebony truss-rod cover and ebony bridge pins. Besides the mother-of-pearl headstock and fingerboard inlays, the big difference is in the guitar’s rosewood back and sides. The rosewood is Indian in origin and although not especially dark, the grain is vivid and attractive. It certainly provides sufficient contrast to make the redness of the sapele bindings really pop. 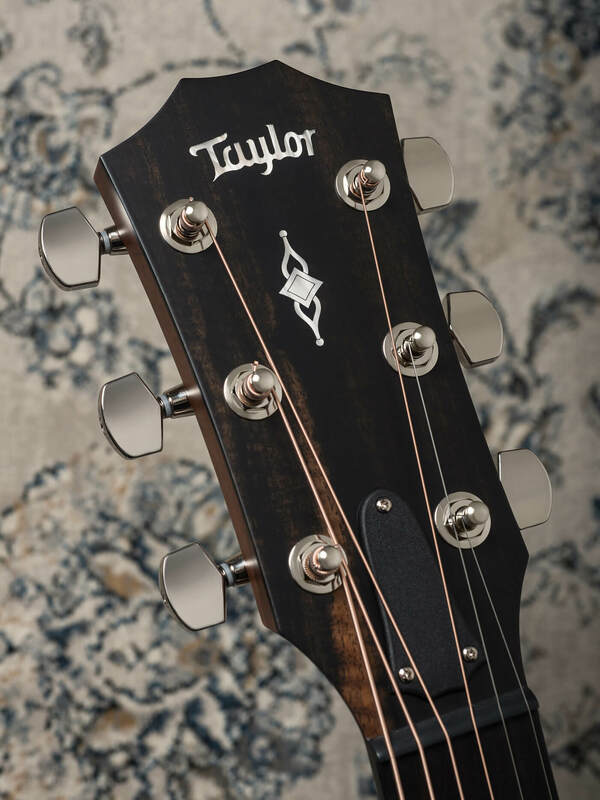 Although we appreciate the 517’s Wild Honey Burst finish, the 717’s natural top just edges it in the looks department and really enhances Taylor’s graceful new take on the slope-shouldered dreadnought shape. 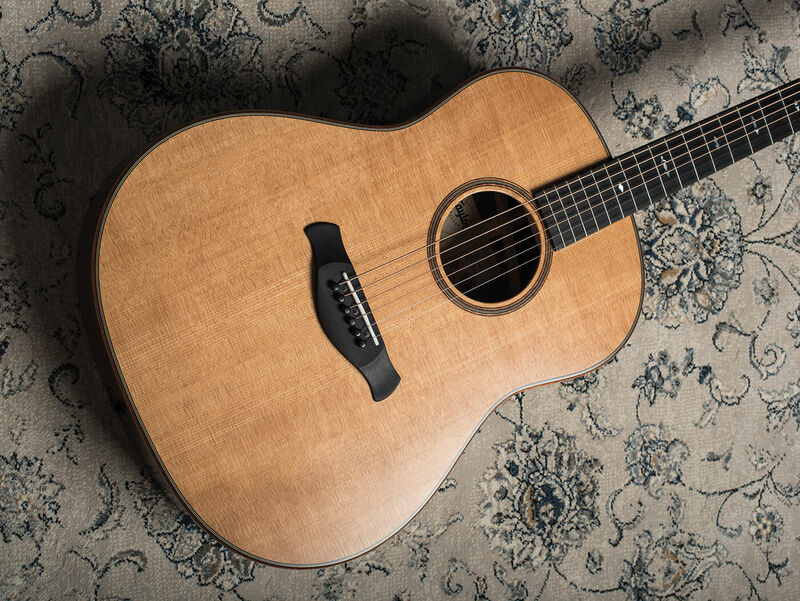 Despite its quick response and naturally bright tone, the 317e has a remarkably balanced and even character; it’s a particularly well-mannered guitar. Starting out in DADGAD, there’s no trace of boominess and wherever you play on the neck, fretted notes and open strings ring out clearly and with equal volume. It’s as though high-end studio equalisation and compression has already been applied – by a very competent recording engineer. The downside to that balance is you don’t get any significant change in timbre when you move from strumming the strings close to the end of the fingerboard to the back of the soundhole. To achieve a more extreme tonal contrast, you have to attack the strings closer to the bridge to draw out those twangier tones with shorter sustain. The tonal character remains similarly consistent, irrespective of playing intensity – if you prefer an acoustic guitar that mellows and darkens when you play soft, but gains brightness and bite as you play harder, that’s not what the 317e is all about. That said, none of this should be taken as criticism per se, because it’s a guitar that’s ideally suited to recording applications and can make those of us with imperfect playing technique sound rather more polished than we really are. If you primarily play electric guitar, but require an acoustic that you can pick up without having to readjust your technique to any great extent, you’ll like the 317e. This applies in particular to fingerstyle; all of the strings have a rounded tonal quality, which means the wound strings don’t pop out and the plain strings retain body and punch even in the higher registers. And as we have come to expect from Taylor’s V-Class bracing, the intonation is remarkably good. It’s a very fine-sounding guitar but if you’re a dedicated acoustic player, you may find that once you’ve been playing it for 30 minutes or so, you’ve already heard pretty much everything it has to offer. Given the similarity in materials and its identical body dimensions, we’re surprised how different the 517e sounds and feels. Straight out of the case, this guitar’s tone is fuller, darker and more seasoned and now we can hear those tonal variations when altering the area of attack and adjusting playing intensity. Despite a fatter and more rounded neck profile – and it’s one that could even be described as ‘vintage’ – the 517e feels like a lighter and more streamlined instrument than the 300 Series model. Designer Andy Powers has described how the profile transitions between the headstock and body ends, and in use,it’s a subtle thing. We detect the merest hint of a V and softer shoulders at the cowboy end, which gradually becomes rounder, and the result is a very comfortable neck shape that provides substance without unwieldy bulk. Some sonic characteristics are shared with the 317e. First and foremost, the tone has the same evenness and string-to-string balance, and there’s the sense that the sound has been ‘pre produced’. Again, the bass is boom-free, but the 517e delves deeper into the frequency range for some chest-filling gravitas. It’s a similar story at the other end, because without sounding brighter as such, the 517e has a more airy treble response that floats over the main body of the sound. It’s somehow distinct, yet very much part of the whole. 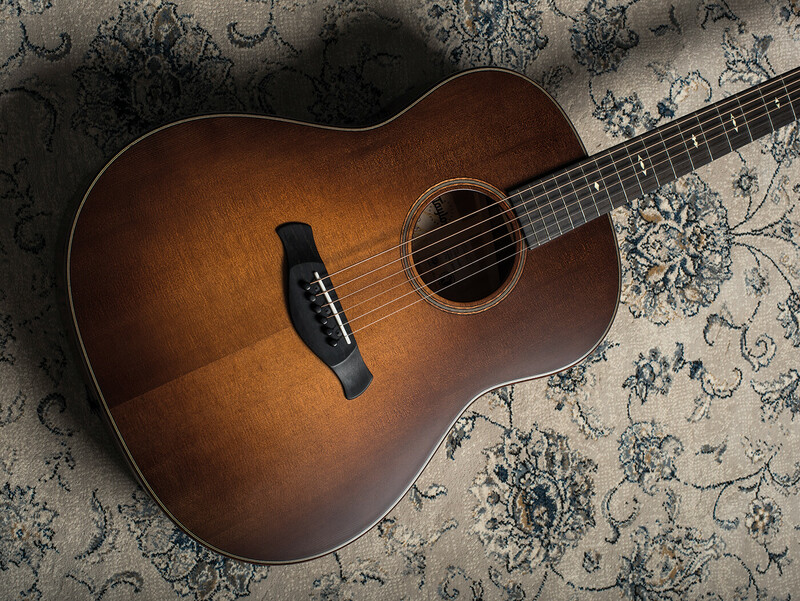 The tone is a touch more like an old-school dreadnought, with a hint of mid scoop but none of the common downsides. It’s also a guitar that can lend itself to muscular rhythm parts just as well as delicate finger-picking, and we find its tone more complex and involving than that of the 317e. 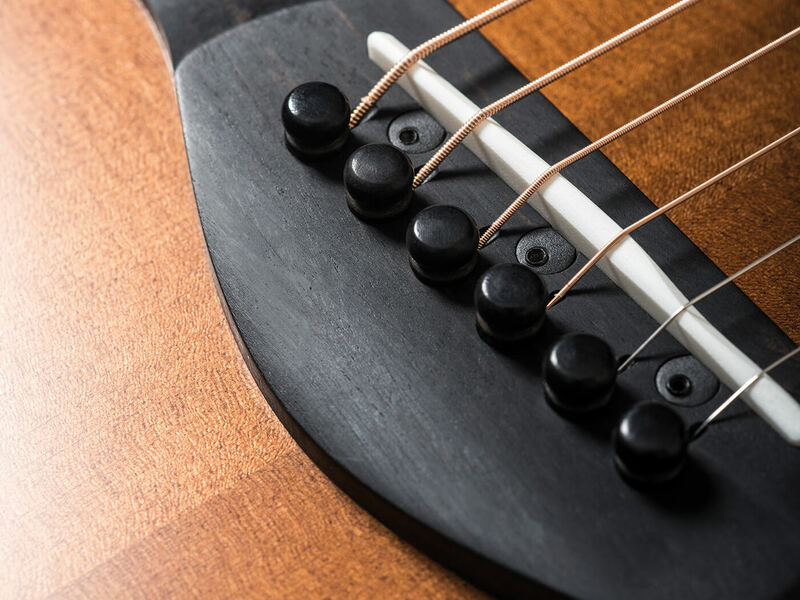 Where the 317e conforms more closely to what many players expect from a Taylor, the 517e moves things forward by combining some elements of classic American flat-top tone with modern playability, improved balance and outstanding intonation. A suitable analogy might be that of a current production sports car that ticks all of the ‘retro’ style boxes, but also benefits from modern brakes, suspension and power steering. 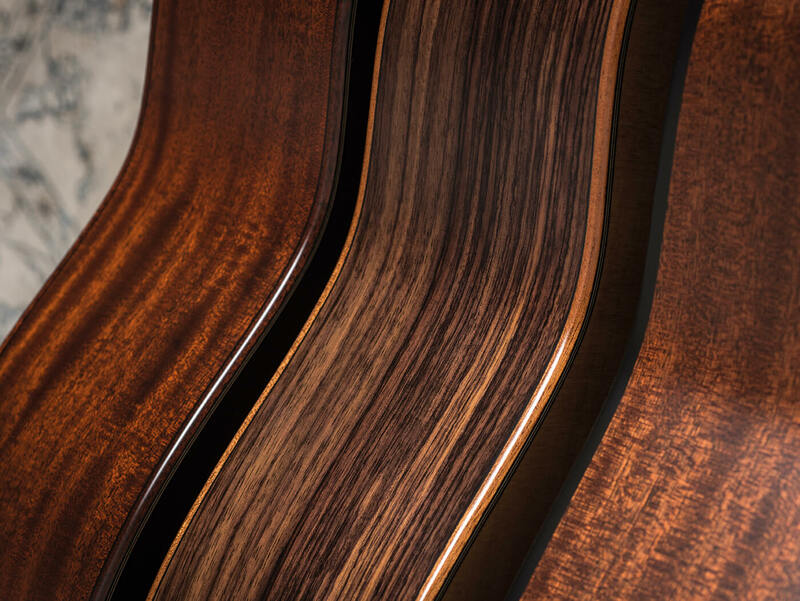 All three of these Taylors feature diagonal back bracing, which appears fairly square and robust compared to rounded Martin-style back braces and Lowden’s tall-and-thin type. 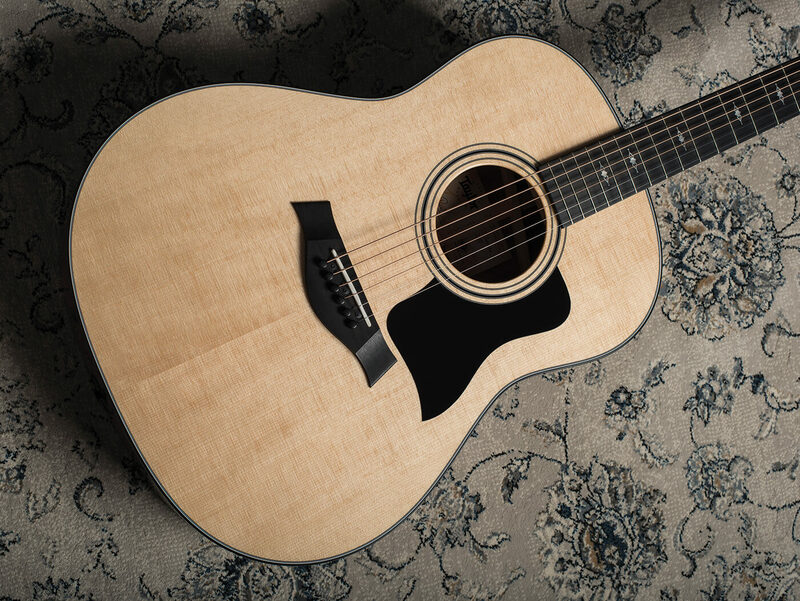 When reviewing acoustic guitars, it’s our usual custom to tap the backs to determine how lively and ringy they are. 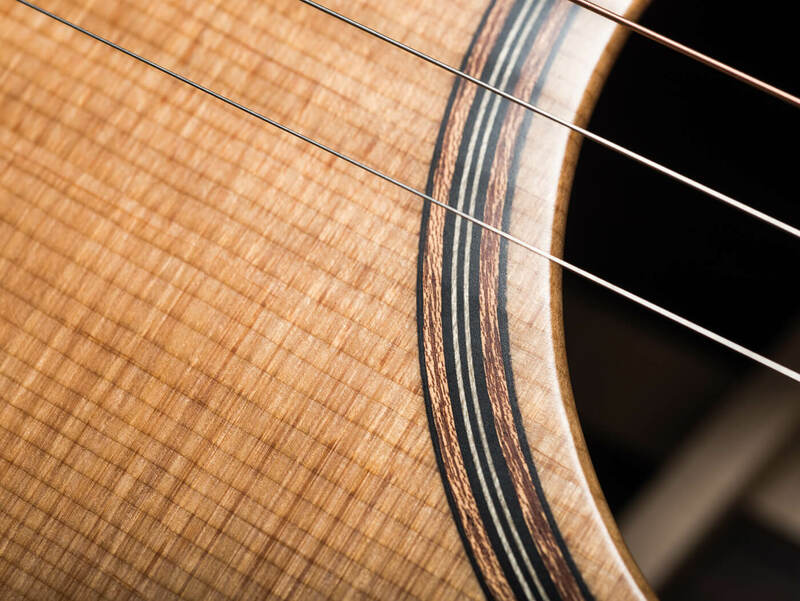 Here, we notice that the clearest and loudest tap tones are found in the upper bout and the area behind the soundhole. Across the lower bout it seems slightly damped, and all three guitars are similar in this regard. Perhaps this contributes to the Grand Pacific’s deep but controlled bass response; however, the 717e has the liveliest back and the cleanest tap tones. Of the three instruments featured here, the 717e also has the smoothest and most refined tone. There’s no mid scoop and it has the most even string-to-string balance of all. It could be that the more forward midrange is de-emphasising the bass and treble extremes, but we don’t find the 717e sounds as deep or as airy as the 517e. Again, this is an observation rather than a criticism, because we are in the realm of subjective taste rather than good, better or best. The 717e sounds and plays like a very high-end, hand-built guitar – the type that’d cost substantially more if it had been made by an artisan luthier. There isn’t a harsh tone to be had, the sonic character is boldly clear and assertive and there are plenty of dynamics and tonal variations. Yet despite all that, something keeps drawing us back to the 517e. It’s just that bit punchier, earthier and grittier. If the 717e won the aesthetic battle, the 517e is the most characterful and interesting-sounding guitar in a very strong field. Moving into the electrified world, the differences between our trio of review guitars are less apparent. Taylor’s Expression System isn’t our favourite acoustic amplification method, but it’s better than many, and the plugged-in tone certainly has an acoustic quality. Through a mixing desk and nominally flat-response speakers, we detect a slight brittleness. Fortunately, the treble and bass controls provide a wide and powerful sweep, so Taylors equipped with the Expression System 2 can produce enjoyable and musical tones in a wide variety of amplification scenarios. Output levels are very strong, too, but we do hear a phase-y hollowness, particularly from the second (B) and first (top E) strings that might benefit from some carefully targeted parametric equalisation from a preamp or mixing desk. As Andy Powers himself acknowledges, Taylor’s pickup system doesn’t work for every player, and you can save yourself a tidy sum by choosing a fully acoustic version of any model (see Key Features). If we were asked to come up with a neat summary of what Andy Powers has been doing at Taylor over the last few years, the phrase ‘knocking off the edges’ springs to mind. We’re speaking literally and figuratively, because you can see it, feel it and hear it. The crisp and square-edged plastic binding has been replaced by rounded-over body edges that are closer to a Telecaster’s chamfer than that of regular acoustics. 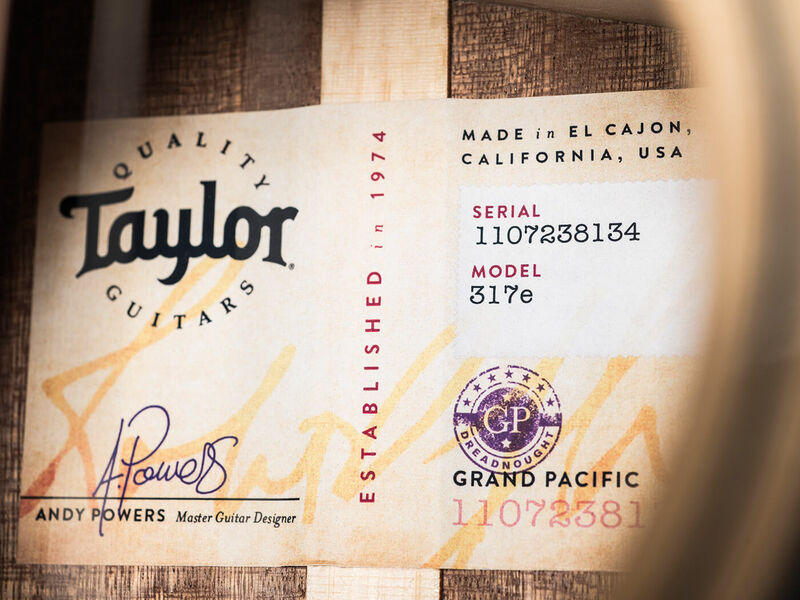 Although the 317e has Taylor’s knife-edge heel, both Builder’s Edition guitars have a softer look and feel. But their most noticeable change has to be the redesigned bridge, with its more graceful curves and rounded corners. We find the ‘curve wing’ shape a big aesthetic improvement, but others may prefer the iconic Taylor original. 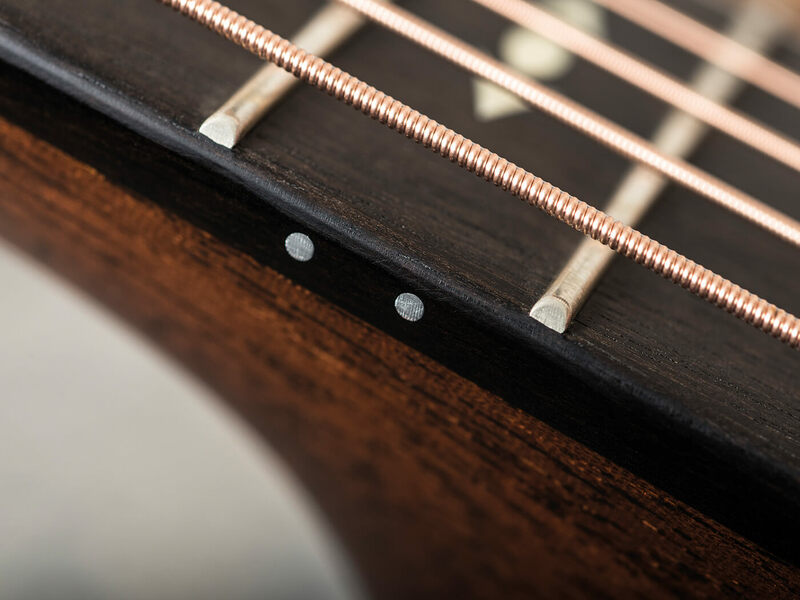 Some eyebrows may raise at the choice of synthetic materials for nuts and saddles on guitars in this price range, but equally, an increasing number of players prefer to see no animal-derived materials used on their instruments. 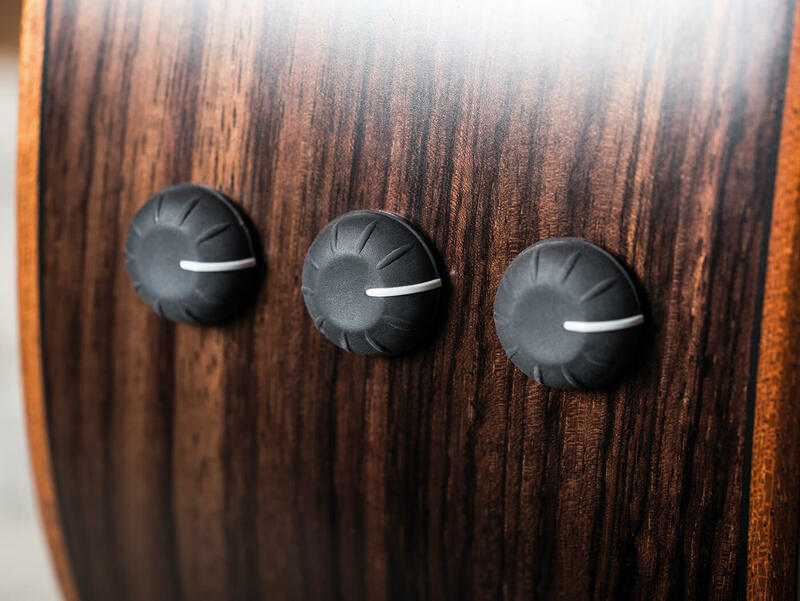 Although the nickel-plated tuners perform flawlessly, we’d like to have seen smaller ebony buttons grace the headstocks on the Builder’s Edition models, but these are minor points. 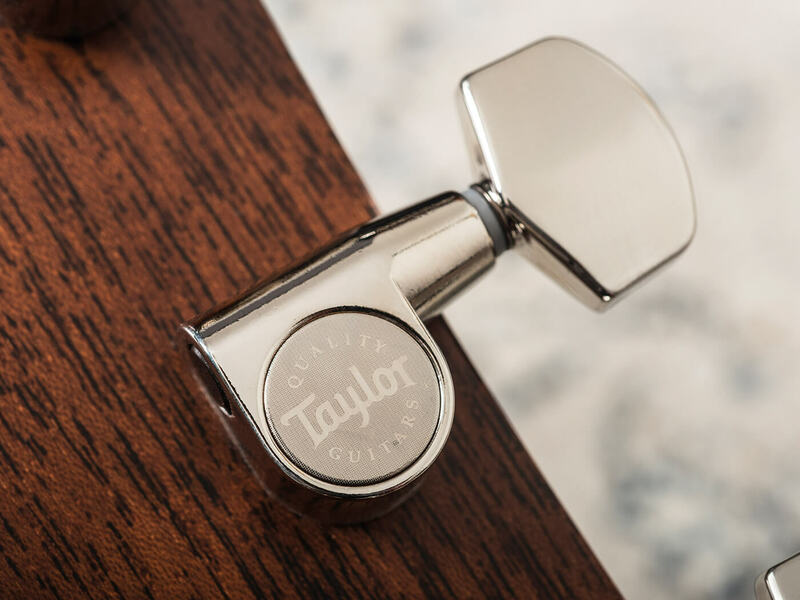 Overall, things at Taylor have been on an upward trajectory for some time and we see no sign of the company losing momentum under the watchful eye of its master guitar designer.